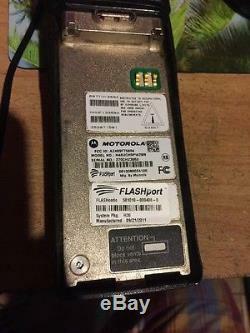 Includes used Impres charger V3.40, good battery no belt clipper, Nickel Metal Hydride batteries #NTN9857C , 700/800Mhz antenna, used Motorola OEM speaker mic PMMN4051B, 1 used Motorola. 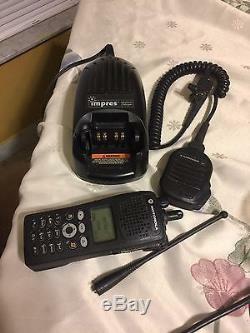 Radio is in good condition with scratches, Radio had been tested, is in great working condition and has been tuned/aligned as of this month. Radio need to programms, does not have password protection enabled, and does not have hardware encryption only ADP software encryption. Radio has factory serial tags with matching internal serial. If you have any questions feel free to message me. Q806 ASTRO IMBE Digital Operation. H14 Enhanced Digital ID Display. H43 Trunked Remote Monitor/Radio Trace. H46 Trunked One Touch Status Message. Q883 3600/9600 Interoperability/Mixed Mode Signalling. H345 ASTRO 25 Trunking Radio Authentication. Q947 APCO Packet Data Interface. Q173 SmartZone Omnilink MultiZone Operation. Q361 ASTRO 25 9600 Baud Trunking. 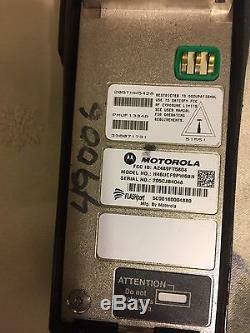 You can expect different flash code from the radio not the same like in the description the k you. 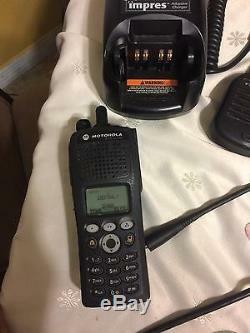 The item "Motorola XTS2500 Model III 700/800Mhz P25 9600 Digital Astro" is in sale since Thursday, June 1, 2017. 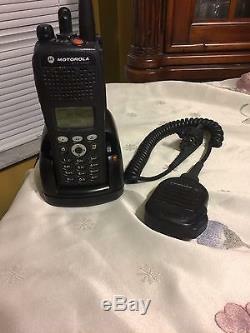 This item is in the category "Business & Industrial\Facility Maintenance & Safety\Surveillance & Alarm Equipment\Two-Way Radios".wilso" and is located in Orlando, Florida. This item can be shipped to United States.